Baskin-Robbins, the world’s largest chain of specialty ice cream shops, is teaming up with HERSHEY’S to make the stuff of chocolate-infused ice cream dreams come true with the February Flavor of the Month, Cherry Cordial with KISSES. 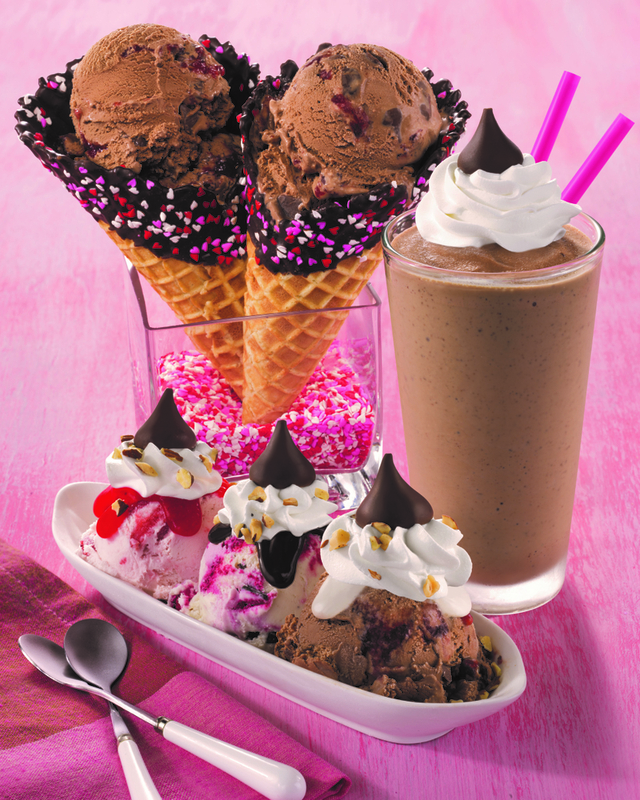 Featuring HERSHEY’S chocolate ice cream, mini HERSHEY’S KISSES, and a cherry ribbon, served in a fancy waffle cone with heart-shaped sprinkles, this brand new flavor is sure to melt any heart. Guests can also get a sweet taste of this new Flavor of the Month during a National Sampling Day on Sunday, February 10 from 3:00-7:00PM*.